This is the Parish Church Complex of Marco de Canevezes, Portugal. It was designed by Portuguese architect Alvaro Siza with Rolando Torgo and completed in 1990. It’s a deceptively simple building. 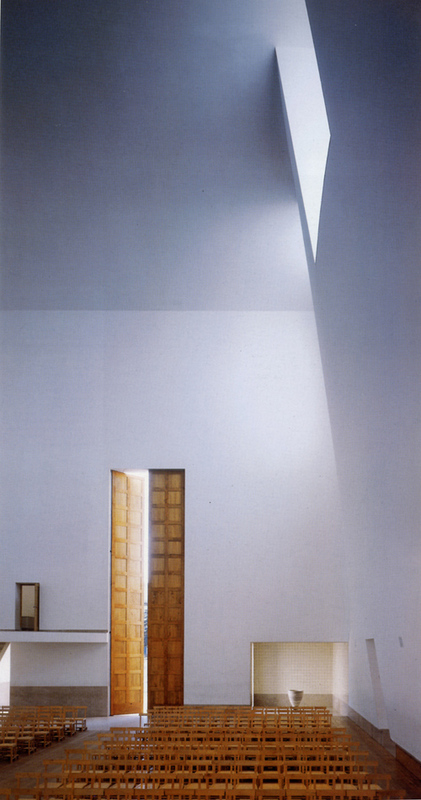 Its most obvious feature is a stunning pair of tall, narrow front doors matched by beautiful pew chairs in the same warm orange wood, but one of its real achievements is the way Siza exploited natural light and the daily movement of the sun to create changing shapes and moods in the altar.